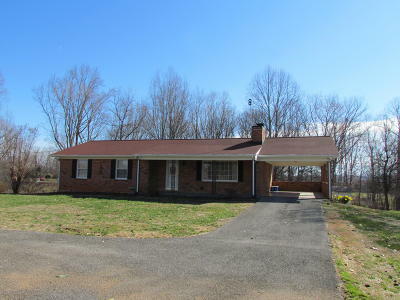 Spacious ranch on 2 gently sloping usable acres conveniently located to Smith Mountain Lake/Westlake Corner, Rocky Mount and Roanoke. There is a true Master Bedroom with 2 additional bedrooms, a second Full Bath & a Living Room with a gas log fireplace all on the Main Level. The lower level full walkout basement has two rooms that are framed plus has wallboard...just need a ceiling and carpet to have additional finished space. There is a fireplace in the lower level as well plus an unfinished area for laundry and workshop/storage.